Reactions to Dr. Priscilla Chan and Mark Zuckerberg’s pledge of $45 billion in Facebook stock sound like the inverse of the Borscht Belt joke: In this case, the portions are too large. That two private individuals have $45 billion worth of capital to pledge is galling enough to some, emblematic of the absurdly skewed distribution of wealth of this Second Gilded Age. That Chan and Zuckerberg will remain in control of this money’s distribution and direct it to their own pet projects, rather than democratically selected public priorities, and that grants made from these shares will provide further tax deductions to the couple, round out the indignation. These points are important; we need constant reminders that public policy, including tax breaks that have sequestered this money as both corporate returns and individual philanthropy, protects private capital at the expense of the public good. The Chan-Zuckerberg commitment dwarfs, many times over, recent controversial gifts like Steve Schwarzman’s $150 million to Yale and John Paulson’s $400 million to Harvard Engineering School. At a minimum, this pledge should galvanize a movement to repeal or severely reduce the charitable-giving tax deduction. The section on technology as a tool for human progress is troubling for several reasons: “personalized learning” software sounds like a marketing pitch for slick educational technology products. The assertion that increased Internet access will simultaneously reduce poverty, prevent disease, and educate children is ludicrously arrogant “solutionism” (to borrow Evgeny Morozov’s apt term). But this type of self-congratulatory benevolence is arriving right on schedule. The most apt historical precedent comes from the first Gilded Age, with the advent of “scientific philanthropy.” The plutocrats of eras past harbored similar delusions of dispassionate research in lieu of personal connection and sentiment, as the hot new thing in private capital saving the world. What’s actually remarkable about Chan and Zuckerberg’s announcement is where it diverges from that well-marked precedent. But we already know all this. The question now is how, in a world of radically uneven wealth distribution, Chan and Zuckerberg think about the world in ways that lend themselves to supporting systemic change, in lieu of the narcissistic hubris that has overtaken philanthropy discourse for the past decade. For starters, I can think of several off-the-rack options for their giving that will fulfill their goals of “promoting equality” and “advancing human potential”—which, encouragingly, they see as intertwined and embedded in systemic forces. The couple notes that early-childhood experiences are vital for both of those main objectives. Now would be a great time to fund the rapidly escalating movement for federally mandated paid family leave, and to advocate for the national daycare system that passed Congress in 1971, only to be vetoed by President Nixon. With their help, SNAP (food stamps) and WIC (Women, Infants and Children) nutrition programs should be ironclad (expanded, even) in every single federal budget. 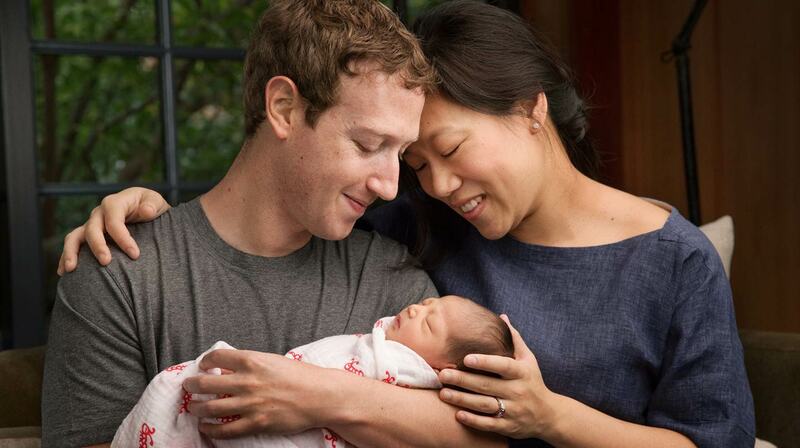 By devoting a significant amount of space to this topic, alongside publicity along their respective parental leaves, Chan and Zuckerberg have signaled that they might be open to large-scale activism in service to children’s well-being. Reducing their focus on model schools and other privately controlled institutions, and supporting growing populist movements would be a great step. They have also committed, both in the open letter and in co-founding the Breakthrough Energy Coalition, to clean energy companies and advocacy, to which I can only say, more and faster, please. Technology can’t solve problems by itself. This seems obvious—but in Silicon Valley, this is a radical countercultural statement, where innovation is panacea, especially when it sells more tech products and eliminates obstacles like labor regulations and transparency requirements. The greatest challenges require very long time horizons and cannot be solved by short-term thinking. See above, and consider how often philanthropists demand “return” on their investment, especially in the form of burdensome and irrelevant reports that mainly serve to reassure the donor of her wisdom and discernment. Hey, a mention of systemic barriers to success under our alleged meritocracy! It’s almost as if… racism… and poverty… and discrimination… play huge roles in perpetuating inequality, which cannot be addressed through changes in individual conduct. Can we get a hallelujah? Even a tiny, grudging hallelujah? Consider just how out-of-touch philanthropy has become in recent years, with many donors positioning themselves as Übermenschen who combine the shrewd precision of engineers with the cowboy confidence of investment bankers. Gone were any acknowledgments that the social sector is different, its problems more complex and interconnected than those of the for-profit sector. Neoliberalism is not just about abstract institutions—it’s about who we become once when we are taught to focus exclusively on quantifiable returns and economic value. For a long time, big philanthropy has been veering towards that mentality. We should absolutely worry that government should claim more of the wealthiest’s gains for public programs, and we should aggressively pursue policy changes to redress that imbalance. We should hold Chan and Zuckerberg accountable for addressing problems that they acknowledge as systemically rooted with systemic solutions (i.e., national policy advocacy). But if Chan and Zuckerberg can keep 1 percent of their wealth, surely we can find our 1 percent of victory in this announcement—that two very wealthy people, with every incentive to advance a detached, simplistic vision of social change—acknowledge, and could be persuaded to use their giving to address, complex systemic problems. It may not be equal to $450 million, but it’s definitely worth something.